I’ve been so complacent with blogging recently. I would apologise, but I’m not really at that *level* where I feel I have ‘fans’ that have missed me…. But if you have missed me, go ahead and send me some love. Anyway, I realised after posting this outfit on instagram just how good I looked, so here’s my favourite outfit from the weekend. Ta-dahhhh! I love wearing this Penguin T Shirt, it makes feel like an extra from This Is England, and the colour is one of my favourites as it reminds me of Ikea Mustard. Have you ever had Ikea Mustard? If not, get some in your life now. It is no regular mustard I tell thee. 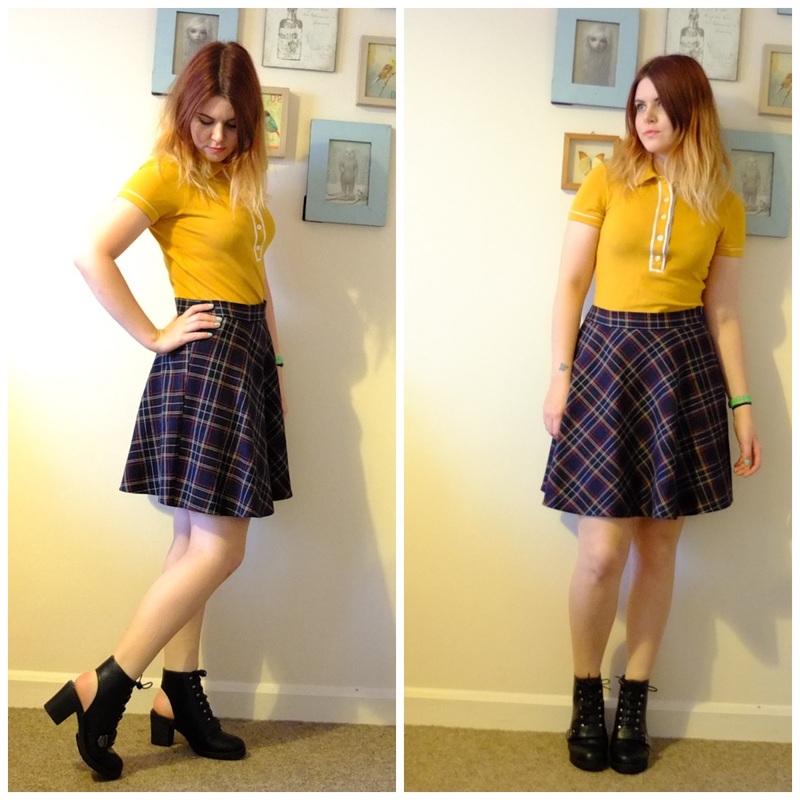 My skirt is from Forever 21 yeaaarrrss ago, I remember buying it on a complete whim without even trying it on, but it’s by far one of the most flattering skirts I own, and only cost something like £9. I also bought these cut out detail boots from Matalan yesterday. I literally ran in to buy a cheap rain coat as I got caught in the torrential showers and realised when I stepped foot through those magical doors that they had a mega sale on. 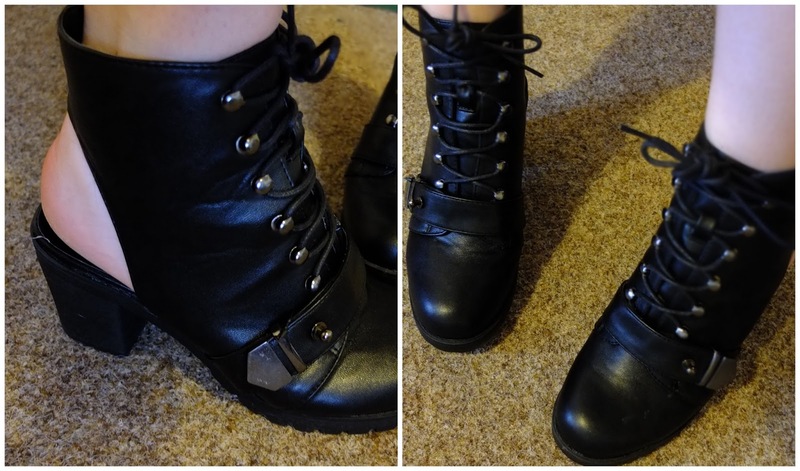 I almost bought these boots weeks ago for the full price of £22, but they were reduced to £10! I’m not sure about the practicality of them with the cut out heel, but let’s see how it goes anyway. They’re super comfy anyway, despite not really *doing* heels this one is low enough to wear in the day time. I have so much to blog about! So going to try and catch up this week, stay tuned if you like DIY necklaces, teeth whitening and festival prep for starters, eep! Whilst I’m at it, I’ve fallen way behind with blog reading too, so if you have a blog leave your link below, this week is bloggingggg week!